Almost to the halfway mark with The Splendid Sampler! Block 42 is by the wonderful Jane Davidson! 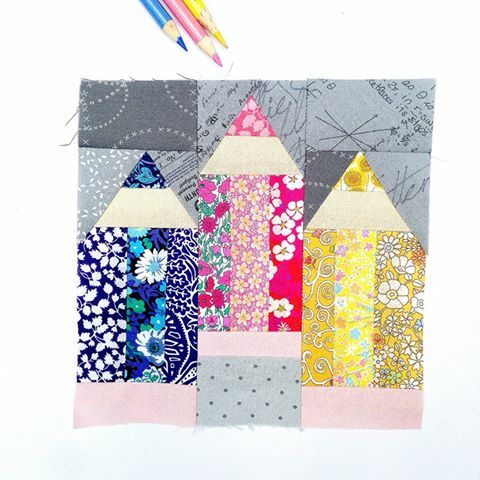 Pencils is super simple paper pieced block that takes very little time to make and is perfect for small scraps! I used Liberty of London colorful scraps for the pencils and Modern Backgrounds by Zen Chic for Moda for my background fabrics! All of my blocks are pieced using Aurifil 50wt thread for perfection and lovely flat blocks! 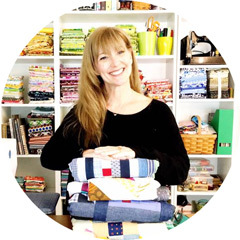 There is still time to join the excitement of this mystery sew along! There are two free blocks released every week on Sunday and Thursday. You never know what will be coming your way until the day of release! Could be appliqué or pieced! Might be a paper pieced or embroidery block. I have found this to be an EXCELLENT skill building event! OOO Love this block - very cute!